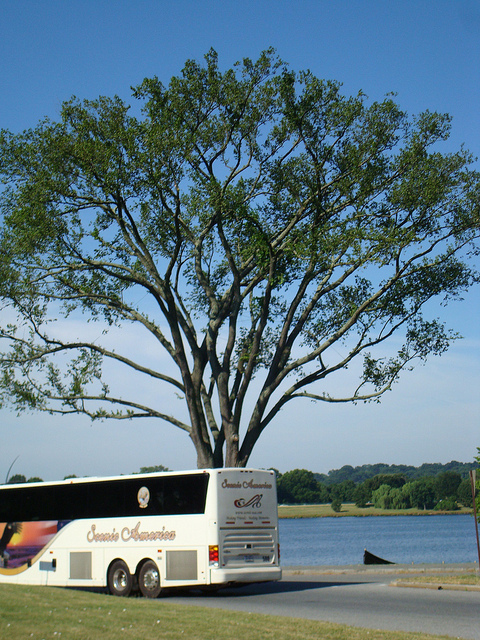 One of the things I loved the most about summer commuting was navigating the tour buses. It was great. My commute went from a somewhat sedate ride to one filled with anticipation of the unknown. 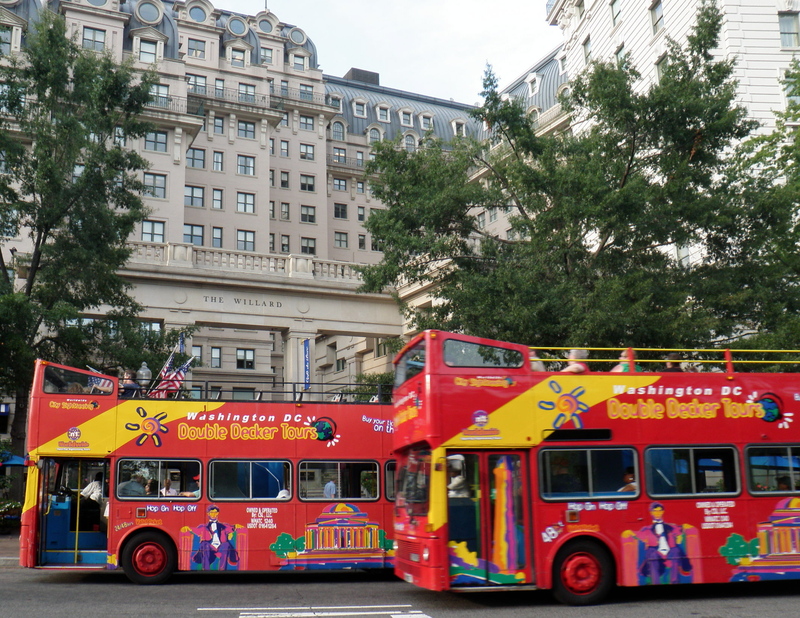 Now the summertime bus traffic has ebbed somewhat, but there are still plenty out there. Many thoughts run through my brain whenever I see a tour bus. Will the tour bus stop right in front of me, even though it’s not an intersection? Will the tour bus illegally park (right in front of me) in order to drop off a large group of tourists? Will the tour bus decide not to make a left in the left-turn-only lane and instead go straight right in front of me? Make a right turn from the left-turn-only lane? Try to turn where this is no turn? Please know that I love seeing tourists in Washington, D.C. It makes the city more fun and dynamic, not to mention that tourism is a huge economic boost to our city. I just wish some of the bus drivers managed their vehicles with a little more awareness about the pedestrians and cyclists around them. 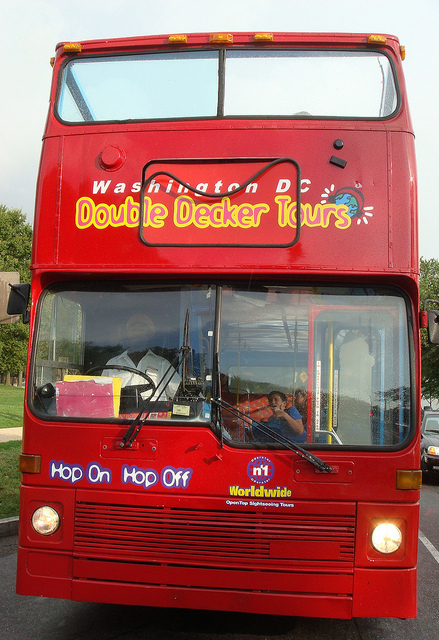 Not only do the tour buses that come in from out of town have their issues, but problems also occasionally arise from my new favorites, the Double Decker Buses. I don’t know what is going on with these things, but if you ever see one, just watch out and start pedaling the other way, if at all possible. Felkerino and I have witnessed all sorts of driving shenanigans, including a couple of close shaves. I have to admit they take a nice picture, though, as long as they’re not inadvertently trying to take you out. I understand some of the difficulty these drivers face. 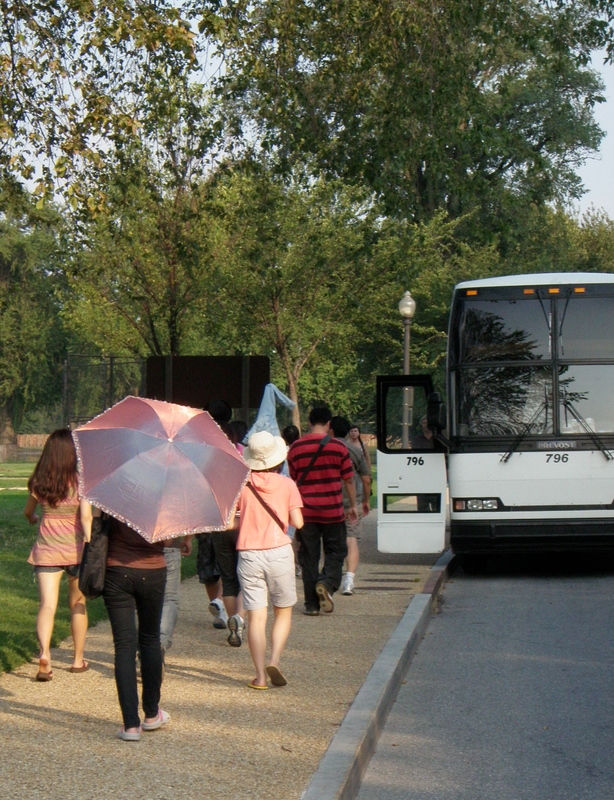 When I first arrived in Washington, D.C., I had a terrible time getting around. D.C. signage is problematic, both in terms of its size and overall helpfulness. I think there might even be some road signs out there written in 12-point Wingding font. Combine that with limited parking space throughout the city and it can’t be easy. Like I said, I love the summer energy of the tourists. 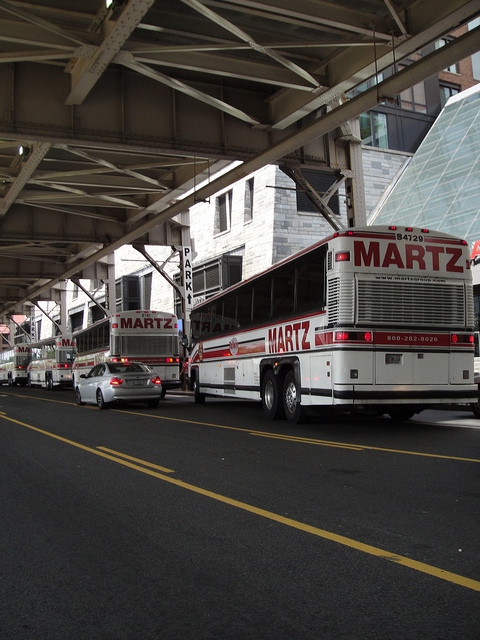 I also like that the tour buses help minimize the number of privately owned vehicles roaming the city. I just wish our city set up better to accommodate the tour bus experience, and that some of the drivers had greater awareness of everything going on around them. Until that happens, though, I’m riding with eyes in the back of my head and all my blinky lights flashing. It may not help that much, but it makes me feel better.